If you’re looking for an offline gaming experience in online form, Live Casino by Evolution Gaming is just the ticket. This isn’t your typical lineup of table games and slots, but rather a collection of live casino games that put you in the heart of the action through a high-quality streaming video. 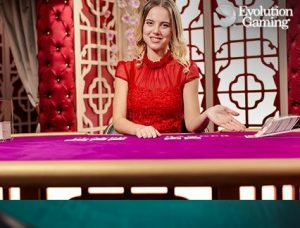 Live Casino replicates the excitement of live gameplay all from your home computer, and there’s no better example than Live Baccarat. Live Baccarat, Asia’s most popular table game, is expertly recreated in a virtual environment, complete with face-down dealing on a bean-shaped table. A multi-camera installation with cinematic quality and special bet options enrich the experience and wrap you up in the drama and suspense of the real deal. Pairs side bets, competitor views, and extra statistics via a wide choice of roads are available to enhance the play and simulate a tableside experience. Pairs side bets allow Player Pair and Banker Pair, two side bets that allow the player to bet on the player or banker’s first two cards being a pair with a payout of 11 to 1. Additional side bets are available, as well, offering odds up to 200 to 1, ensuring that you’ll be challenged. The roads options include Bead Road, Big Road, Big Eye Road, Cockroach Road, and Small Road, all adding layers of interest to the gameplay. For true devotees, the Baccarat Multi-Camera experience uses more than 15 cameras to capture all the nuances of the game. Close-ups and the virtual squeeze performed by the dealer deliver the ultimate in suspense and authentic gameplay. The dealer reveals the cards briefly for the hand of the lesser total wager and squeezes cards dealt to the hand of the greatest total wager. The enormous amount of tension of this small ritual will make you feel as though you’re seated at a high-stakes table in Macau. Live Baccarat Control Squeeze is also available, which is a variant that allows the players to control the squeeze. Cards are face-down on a glass panel table, revealed by cameras beneath the table. Card faces are obscured by an overlay mask, so the players tap the corner of the card to peel back the overlay for the agonizingly slow reveal and the thrilling experience of the live game. If you like live games, you can also check out both the best live roulette and popular live blackjack! Evolution Gaming, the provider of majority of live casino, is the top name in the industry for professional-level gaming experiences. With stunning graphics, built-in chat functions in a variety of languages, massive multiplayer scalability, and incredible realism, the lineup of Live Casino games gives you all the glitz and glamour of a high-stakes casino game from the comfort of your own home. These games are streamed in high-quality HD video. They are independently audited to ensure a fair payout. 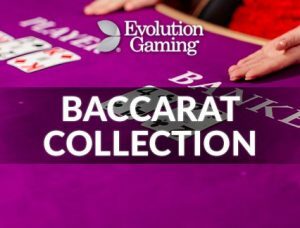 If you can’t get to a real Asian casino, Live Evolution Baccarat is the next best thing. 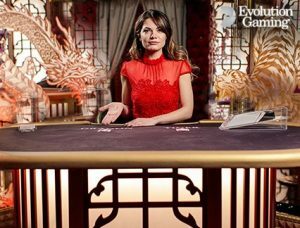 The Macau-like gaming experience caters to newbies and experienced high rollers alike, with features that perfectly simulate authentic Baccarat play with additional game options. All gaming options feature professionally-trained dealers and are also optimized for PC, mobile, and tablet to ensure you get the best virtual gaming experience possible.